MILWAUKIE, OR— Wargaming, the award-winning online game developer and publisher of the globally successful World of Tanks combat series, today announced a partnership with comic book publisher Dark Horse Comics. This agreement will see the creation and publication of the “World of Tanks: Roll Out!” comic book series inspired by the hit video game with over 120 million registered players globally. 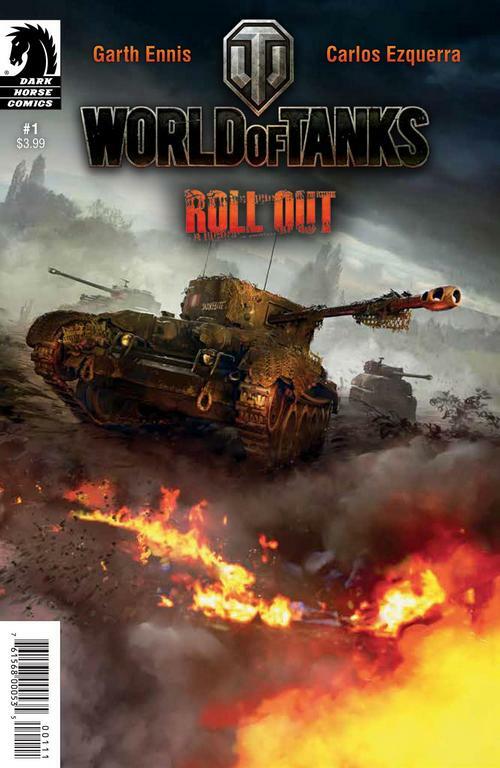 “World of Tanks: Roll Out!” will be a five issue series, rolling into comic book stores across the US and European territories and digital distribution in the fall of 2016. 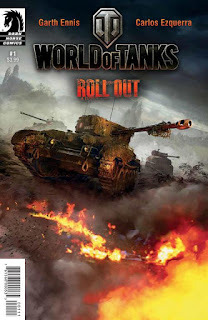 World of Tanks: Roll Out!” is set during the tank battles of the summer 1944, featuring British versus German armored units in post D-Day Normandy. It’s the German Panthers vs. British Cromwells, as the British tankers push deeper into France and toward the might of the Germans. “World of Tanks: Roll Out!” comic issue #1 will be available digitally in the fall of 2016 in comic book shops across North America and Europe, and will follow a monthly cadence of release for five issues of brutal tank combat. World of Tanks (PC, Xbox One, PS4 and Mobile) is the first free-to-play massively multiplayer online action game dedicated to armored warfare. With hundreds of vehicles from a variety of countries at your disposal, the path to victory is achieved through team work, strategy and expert combat skill. As part of its multiplatform line-up, the company has introduced World of Tanks on Xbox and World of Tanks Blitz on mobiles, tablets and Windows 10 PCs. Launched in 2014 and 2015, World of Tanks on Xbox introduced epic tank-on-tank battles to console gamers and offers the first cross-platform gaming experience between Xbox 360 and Xbox One. In 2016, Wargaming released World of Tanks for Sony’s PlayStation®4, continuing its console campaign.